Top-four candidates FC Schalke 04 can inflict a third straight defeat on promoted FC Ingolstadt 04 on Saturday afternoon (kick-off 15:30CET/14:30GMT). 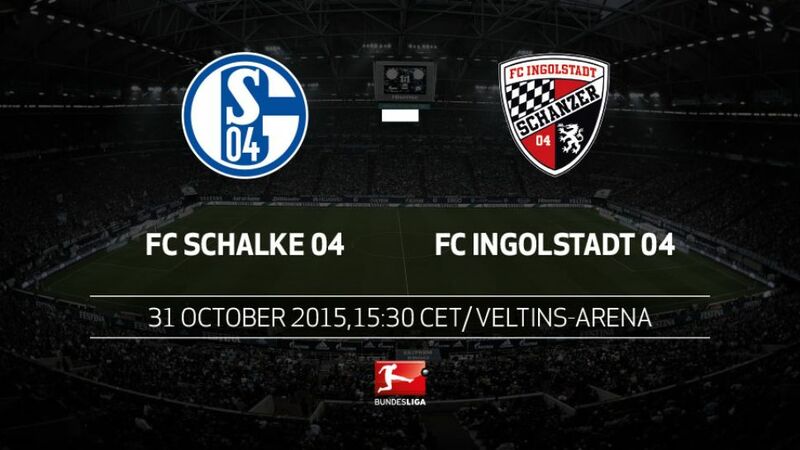 This is the first time that Schalke and Ingolstadt will face each other in the Bundesliga. Despite losing just one of their opening seven Bundesliga matches, Schalke have now lost two of their last three.1-0 defeats to VfB Stuttgart and Hertha Berlin mean Ingolstadt have lost two in a row for their first time in their still-young Bundesliga history.Ingolstadt suffered their first away loss of the season at Stuttgart on Matchday 9. They have not lost twice in a row away from home since early 2013.